I was dreaming of the forest. This time no rustle of wind, no birdcall, no sliver of light penetrated the thick canopy of trees. Silence thundered in my ears like a band of warhorses. And then, through the gloom, I heard my mother call my name, her voice soft and hollow-throated as a dove’s. I woke with a start as my brother tugged back the covers and a rush of cold air met my feet. Lailoken’s sandy hair was unkempt. He watched impatiently as I rubbed the sleep from my eyes and reached for my dress, but as I tugged the wool over my head, my mind quickened and the memory came rushing back. Nine days had passed since the sickness took her. Sleep—when it came—brought some relief, but each morning when I woke, my wound tore open anew. I waited a moment, hoping for a response, but Lailoken only frowned and handed me my cloak. The purple rings beneath his eyes told me he’d been up through the night again, seeking her spirit in the Summerlands. For a moment, Lail looked envious I’d dreamt of her. But if my brother did not sleep, how could he dream? He ignored me, reaching instead for the door’s iron latch. Lail turned on his heel, his narrowed eyes unmistakable. Don’t be stupid—you’re going to wake Crowan. I bit my tongue. I didn’t want to wake our nursemaid any more than he; Crowan would never allow us to go down to the river this time of morning. And though neither Lailoken nor I could explain it, we knew the beast waiting in the shallows waited for us alone. As though it were ours alone to see. I followed Lailoken down the dark corridor, softening my footfalls as we crept past the entryway to the great room with its sleeping warriors and softly dying embers. Yes, Mother was dead. Now our rambling timber hall felt like a husk without her. I swallowed the stinging that rose in my throat and followed Lailoken out the heavy oaken door and into the milky morning light. In the courtyard, mist swathed the late winter grasses. Past the fallow kitchen garden, Brant stood watch on the platform of the inner rampart, breath clouding beneath his hood. At the sound of our footsteps, his grip tightened on his spear before he caught sight of us and smiled. “We’re only going down to the river,” I said. “He isn’t speaking to anyone.” I shifted my weight, and Brant’s brown eyes softened. “We’ll be careful,” I swore, but as we hurried through the gate, I made certain Lailoken felt my eyes on the back of his head. It was hurtful and foolish, his vigil of silence. My brother stiffened as he ducked beneath a low-hanging bough, but at the sound of hurt in my voice he glanced back, reaching for my hand. I joined my fingers with his and we wound our way along the forest path to the place where the towering outer rampart ended. At the cliff’s edge, a deer trail stretched down hundreds of feet to the gorge below. A thick sponge of moss lined the narrow trail where the first tender shoots of fern budded from their peaty winter beds. We edged down the steep path toward the river, mud caking the leather lacing of our boots, and I breathed in the earthy smell that always brought relief. My mother had spent endless days in the forest with us, plucking mushrooms from fallen tree trunks, gathering blackberries and marshmallow and nettle, using the knife she kept at her belt to strip the bark from hazel and birch. Mother was the wife of a king. But she had also been a Wisdom Keeper, trained in the art of healing. It was the lady Idell our tenants visited for a tonic to ease their child’s cough, a salve to slather on their horse’s foot, or a remedy to ease the aches of old age. And it was by her side, in the woods, under our great roof of trees, that I felt most at home. The river Avon glinted like liquid glass as we emerged at the cliff bottom. Stooping low, we moved softly through the underbrush until we neared the bank of the river and Lailoken squeezed my hand. We crouched at the water’s edge, just out of sight, as I struggled to quiet my breathing. The red stag was magnificent—nine points on each of his antlers. We watched the river course round his black hooves as he drank in the shallows, the graceful muscle working in his throat. It was strange to spot deer this late in winter, and stranger still to find one so close to our fort; most had been hunted into the deepest glades beyond Cadzow by now. Surely such a beast was wise to the ways of men. And yet, each morning since our mother’s death, we had descended the steep banks of the gorge to find him standing in the current as if he, too, were keeping vigil. Now the only sound was the soft gurgle of water over rock. Fog pillowed over the dark sheen of river and I opened my ears to the sounds of the stream, longing to hear the sweet strains of the melody my mother so often hummed while walking the woods. Then, a movement flickered in the corner of my vision. I turned instinctually, looking upriver. At first I could make no sense of the shadowy form that appeared where nothing had stood a moment before. I blinked to clear my eyes. But there, in the water, rising out of the mist, stood a figure, her dark hair flowing over her simple green dress. If my fingers hadn’t been stinging with cold, I would have been certain I was still dreaming. Her skin was no longer flushed by fever or marred by the blisters that had come. Her face was smooth and her lips wore a smile, but her gaze was unsettling; her eyes were wild and dark in the river’s dim. I opened my mouth to cry out her name, but the stag bolted upright, nostrils flaring. I glanced back upriver, and my heart sank. My mother had vanished as quickly as she had come. Or had she been there at all? I balled my fists until my nails bit into the flesh of my palms. How could my eyes play such cruel tricks? There was nothing now but the soft wash of water. Only the great stag stood regarding us, his tawny pelt shimmering in the growing light of morning. Of course I hadn’t seen her. We had scattered her ashes high in the hills. But next to me Lailoken let out a puff of breath. Lailoken gave a tight nod. Because he was my twin, I could feel his tears before they began. I sank down onto the pebbled bank. My brother sank down beside me. And together we poured our grief into the slowly waking world. We sat at the river’s edge until our bodies grew stiff from cold and our sobs gave way to the sound of birds in the forest behind us. All the while the stag moved softly in the shallows. Perhaps tomorrow the beast would come no more—after all, it had been nine days. Cathan the Wisdom Keeper said nine was the most magical of numbers. I was wiping my face with the corner of my cloak when Lail stiffened. He lifted a finger and gestured to the edge of the nearby thicket, where a brown hare was hunched beyond the brambles, its head tilted as if it were listening. Lail watched as it shivered its whiskers and scampered into the forest, his gaze following its trail. Then he turned to me, eyes rimmed red, and spoke the first words he’d uttered in days. A “Knowing,” or so the Wisdom Keepers called them. At night, and even in waking, Lail told me, he dreamt of such things: salmon circling the bottom of a forest pool, or the speckled eggs of a faraway falcon’s nest. It had been Lail who had woken from sleep that first morning after Mother died and heeded the call to the river. There he’d found the red stag standing in the shallows as if it were waiting. My brother had a gift for reading such signs from the Gods. We were only ten winters—Lailoken was young to have such skill. Yet Lail could not make sense of why the great deer had come. Even so, I could sense now that my brother’s gift was growing. Messengers came often to Cadzow with news for our father, but never before had Lailoken foreseen one. I shifted on the stones, straining to hear the sound of hoofbeats I knew were not yet approaching. A rider was coming—it was only a matter of when—and soon our nursemaid Crowan would wake to find our beds empty. I knew we should hurry, yet I could not take my eyes from the water. Lail’s blue eyes trailed to the water almost hopefully. But then he shook his head and wiped his nose on the back of his hand. I felt the small stab as he shut me out again and looked to the cliff top, where a yolky sun was filtering through the forest. The spell of dawn had broken. In the current, the stag shifted and meandered toward the opposite bank. I wanted to rest my head on his smooth flanks, make my mother reappear so she could chase away the emptiness. But we moved instead to climb the trail, turning our backs on the water. As we reached the little gully where our mother had so often sat by our side, I heard the echo of her voice rising up from the depths of my longing. She had called out my name in the darkness of my dream. But her voice had not been tender or full of love. Her voice had been full of warning. 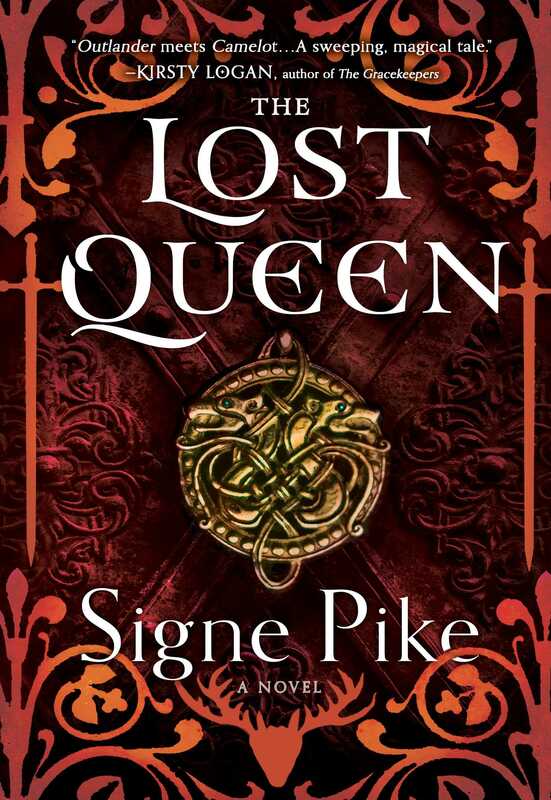 This reading group guide for The Lost Queen includes an introduction, discussion questions, ideas for enhancing your book club, and a Q&A with author Signe Pike. The suggested questions are intended to help your reading group find new and interesting angles and topics for your discussion. We hope that these ideas will enrich your conversation and increase your enjoyment of the book. Ever since Languoreth was a child, she dreamed of becoming a Wisdom Keeper, one of the members of society who were the doctors, jurists, political advisors, teachers, historians, and diviners of the ancient Celtic world. But as a woman in sixth-century Scotland—and the only daughter of a king—her life’s path is not her own. She has been promised in marriage to Rhydderch, a Christian prince, whose kingdom and new religion threatens violence and conflict in the land of the Britons. Despite knowing the important role she is to play as a future queen, Languoreth cannot forget the connection she has to her family and the gods of her ancestors. Nor can she ignore the intense attraction she feels toward Maelgwn, a Dragon Warrior from the Borderlands. Most of all, Languoreth cannot set aside the bond she has with her twin brother, Lailoken, who is destined to become the Wisdom Keeper she’d always hoped to be, as well as a leader of the community her new family opposes but she still longs to be a part of. 1. In part one, Languoreth’s family sees trouble stirring on the horizon as the Christians threaten a longstanding peace. Nevertheless, her father, Morken, advises Lailoken not to act, telling him “‘This is not yet our war.’” What do Languoreth and Lailoken think about this conservative strategy? How might Lailoken’s approach to the encroaching threat have been better? Worse? 2. When Languoreth’s father first hears about Emrys Pendragon, he is skeptical of his ability to lead in such troubled times, but Morken’s counselor Cathan claims, “‘When the people need a hero, so are such heroes made.’” What does Cathan mean? How does the world in which we live contribute to or hinder our ability to cope with our difficulties? Is the Pendragon the only such hero made in this book? Who are the others? How are we to define a hero based on this definition? 3. After she first meets Ariane, Languoreth tells her she has a funny way of speaking and Ariane replies, “‘Perhaps it is you who has the funny way of speaking.’” How does the influence of someone different assist Languoreth during her development? How does her perspective change, as Ariane suggests here, after she is one of the few people from her house living within a Christian kingdom? What effect does living in a place so different from one’s own home have on one’s understanding of the world and oneself? 4. Languoreth reflects on her mother’s death by wondering if every time tragedy befalls a person it is excused by the saying, “‘This is the way of the Gods.’” Is accepting tragedy as destiny beneficial or detrimental to the people it is meant to comfort? How does Languoreth adopt this philosophy later in the novel and is it effective for her? 5. When her mother told Languoeth she would be forced into an arranged marriage, she thinks: “In that moment I understood I would never belong to myself.” What does that mean? Discuss how Languoreth belongs to herself and what ways she doesn’t. Do women today still never completely belong to themselves? 6. Echoing Languoreth’s commentary, Ariane tells Languoreth that she will not be like someone else but rather, “‘I am always myself.’” How is being oneself and belonging to oneself distinguished as different in the book? Despite serving Languoreth, does Ariane still belong to herself? Do other characters ever truly belong to themselves? 7. Languoreth often has doubts about her Gods, though Lailoken does not. Languoreth notes, “The Gods did not protect Mother. The Gods did not protect Bright Hill. Yet they will come to Cathan’s aid?” How is Languoreth’s understanding of faith different from Lailoken’s? In what ways have their different experiences shaped these separate versions? Is believing fate is on your side dependent on having faith? Faith in what? 8. Tutgual is never able to announce his decision about the Christian burial that sets off so many of the conflicts in this book. What do you think his decision would have been? Would a decision have made a difference in delaying the Christian conflict? Does the inevitability of fate in this moment outweigh the importance of a human decision, even one from someone as important and powerful as Tutgual? 9. Ariane attempts to empower Languoreth before her arranged marriage by telling her, “‘Nothing can be taken from you that you do not freely give.’” To what extent is this true in the story and to what extent does it prove false? What is taken from Languoreth and others that they do not freely give? What was freely given but reluctantly, as in a sacrifice? What is the benefit of such sacrifices? 10. When Languoreth finally recognizes herself as a grown woman she thinks, “The woman who stood before me was untamable. Timeless. She was mother, crone, maiden and beauty.” These female archetypes become sources of power for Languoreth. What real female role models does Languoreth have throughout her life? Discuss whether all these women both untamable and timeless. How do they all embrace and reject these stereotypical female identities? 11. When reflecting on the Dragon Warriors, Maelgwn says, “‘I fear our love of freedom is also our greatest weakness.’” What does he mean? Why do other people in the novel sacrifice their freedom and those they love to be part of a unified kingdom? Are these sacrifices worth it? 12. Languoreth’s decision to execute Desdemona is not an easy one, but once she makes it she never looks back. To what extent is Desdemona’s betrayal understandable? How does class structure and sibling rivalry figure into her treason and make the political within this novel deeply personal? Is Languoreth right to execute her, and in what way can this decision be seen as another one of Languoreth’s sacrifices? 13. In the end, Languoreth must say goodbye to her son, and she “discovered a pain unlike any I had felt before.” Why is this final loss more monumental than all the others? What does this say about the bond between a mother and child, and about what is freely given versus what is truly taken? In what way are Languoreth’s sacrifices greater than others’ in the novel? Are women’s sacrifices greater than men’s? How? 14. In the first part of the novel, Languoreth often reflects on missing her mother and thinks, “What was the sense in loving if all those you cared for were taken away?” How does Languoreth’s feelings change throughout the novel as more and more is taken from her? Does the novel ever offer an answer to young Languoreth’s question? How could Languoreth’s entire life be interpreted as an answer to this question about loss, love, and the meaningfulness of life? 15. In her final letter, Languoreth foresees “those who seek to tell a new history” and writes her letter in order to “remember our stories.” How is history equated to storytelling here? Who has the power to craft our understanding of history? Does a revisionist version of history, such as Languoreth’s letter and this novel as a whole, help give voice and agency to those overlooked in history? 1. After being abused by her father-in-law, Languoreth demands to know where her husband’s loyalties lie, to which he responds, “‘My loyalty lies with you and with this kingdom.’” Ask everyone in your group to bring a list of where their top priorities or “loyalties” lie. For example are they with their children? their friends? their religion? Do these loyalties ever come into conflict? Also have everyone pick five core values from a list of options like this one prepared by Carnegie Mellon University and discuss how you incorporate these values into your personal and professional life. What differences do you see emerging in what people feel matters most? How does this change the way you each interact with the world? 2. In part one of the novel, Languoreth and Lailoken make wishes on pieces of amber, then cast the amber into a pool. Bring a some pebbles or beads to your group and have everyone select one to imbue with a wish. Discuss your process for choosing your stone and your wish. Was the wish for yourself or for someone else? How would your wish have been different if you made it when you were a child or a teenager? How do you anticipate what you wish for changing in the future? Is it possible to craft a timeless wish? Take the stones and toss them in an ocean, river, or stream, or set them beneath a special tree, perhaps with an offering of flowers. 3. Ask everyone to think of a story from their family history to discuss. It could be anything from their own childhood that now gets told at family gatherings or an infamous story about another family member that they’ve heard. After sharing the stories, discuss how the events become stories. What details have been added over time? Who likes to tell these stories and why? From what perspective are the stories told? What’s the message of the story? What would the story look like if told by a different member of your family? 4. Write down the names of famous male historical figures on slips of paper and put them in a bowl or jar. Have everyone in your reading group pick a slip of paper, then try to imagine and describe what the life of this man’s wife, daughter, or sister was like. What would it have been like for women during the period this man is from? How would the women have been involved in the same conflicts and decisions as their famous husbands, fathers, and brothers? What unique challenges would the women have faced when confronting these same difficulties? Later, research to see if anything is known about the women from these men’s lives and what they might have been like. How did you first discover Languoreth and what compelled you to research her further? I first came across Languoreth’s name in Adam Ardrey’s nonfiction book Finding Merlin. I was leading a retreat in Glastonbury, England, at the time and the book caught my eye in a local shop. I’d just come from Tintagel, in Cornwall, where I’d been intrigued by “Merlin’s Cave” beneath the castle ruins. As a nonfiction writer, I’d spilled a good amount of ink tracing the threads of myth and folklore down to their origins, and had discovered that within nearly every legend lies a kernel of truth. It fascinated me to learn Languoreth was a historical queen. She was someone we could root in history, yet her brother was considered mythological. I realized I wanted to learn more about the real people who potentially inspired the Arthurian legends. At what point in your research did you realize that Languoreth’s story required a novel, let alone a trilogy? Is The Lost Queen the kind of story you originally envisioned? If not, how did it change during your research? As I discovered that Languoreth had lived through such devastating events as the destruction of Bright Hill, the raiding of her father’s granaries, the Anglo-Saxon migration, and the Battle of Arderydd, I couldn’t stop thinking about the nature of this woman and her incredible human experience. I began my own research and found Adam Ardrey’s work was not only sound, it was transformative. Yet still his book (and that of other authors like Nikolai Tolstoy) was being overlooked. As a former book editor, I understood that sometimes the only way to truly popularize new scholarship was to fictionalize it. I was determined to create an opportunity for people to remember Languoreth and the others who lived through such monumental events in the sixth century. Originally I wrote through multiple perspectives, not just Languoreth’s. It wasn’t working—the writing just wasn’t coming through. By this point I also knew there were too many important historical events to fit into one book. When I realized that this subject longed for a trilogy, I understood that The Lost Queen was meant to be her story. In book II, we experience much with Languoreth but also get to journey the broader world through the eyes of other characters. Tell us a little bit about your research. In your author’s note, you mention that you spent six years of research/writing. What resources were the most beneficial in helping you craft such a detailed account of what Languoreth’s life might have been like? The first thing I did was to focus on historical sources, examining every ancient text that held a mention of Languoreth or Rhydderch. There were mentions of Languoreth in ancient king’s lists, in Mungo’s hagiography, in the Glasgow folk legend “The Fish and the Ring,” and in some Welsh poems attributed to Myrddin (regretfully, those have been heavily tampered with and appropriated by later medieval writers). The Welsh triads contain some maddeningly elusive references to major historical events, and we catch glimpses of Gwrgi and Peredur there, as well as Angharad, Aedan, Rhydderch, and Gwenddolau. I studied the Celtic culture from its origins up to modern times. I visited the historic sites in Scotland where we know Languoreth would have lived, visited museums, watched documentaries, spoke with both archaeologists and modern-day Christian monks; I also read scores of other books, including other contemporary theories about Arthur and Merlin and any academic papers on the subject and time period I could find. Before becoming a writer full-time, you worked as an acquisitions editor for Random House and Penguin. How did this experience affect your experience of writing a novel? Did it help or hinder the process? Editorial experience comes in handy when revising, but is entirely detrimental to the creation of a first draft, I discovered. Without a first draft, you have nothing. I had to learn to silence my inner critic long enough to create at least something that I could build upon. There’s an incredibly good video featured on the website Brain Pickings in which Neil Gaiman gives advice on writing a first draft, on finishing a novel. I watched it on repeat. I learned that if you can simply stack word upon word, again and again—this is how you build something. As an editor I was always so certain—for me it was always simple to see the direction a story should go or how to express something more powerfully. But I was always behind the scenes. As a writer, I felt too vulnerable. I still do. But perhaps in this I’m a bit like Languoreth. Painful experiences are part of living. I can’t allow myself to shy away from something just because it scares me. The ending of The Lost Queen leaves us with some tantalizingly unanswered questions. Was planning the whole trilogy part of your process for crafting this first novel? The Lost Queen includes many questions about faith, destiny, sacrifice, and the creation of historical narratives. What themes from your research about Languoreth were most compelling to you when you first started writing? Were there any that developed out of the story later that surprised you? When I first started writing, the theme that loomed largest was that of historical narratives: How can we unearth the whole of what is true when history is written by the victors? Another that still consumes me is the concept of endings, especially the perceived endings of societies. Languoreth’s experience of this was twofold. The rise of Christianity in a pantheistic world and the Anglo-Saxon power swell that would eventually eclipse the whole island, save places like Wales, Cornwall, and across the channel in Brittany. There is an epic, painful, and tragic expansiveness in fighting for one’s beliefs in a time of great change. These are the times that create heroes, heroes who deserve to be remembered. Sadly, it also can create fundamentalism. That there were so many other themes that emerged as I told the story—that in and of itself was surprising. I thought I had quite enough to grapple with! Languoreth and many of the other characters prove to be strong female heroines. How do you feel that Languoreth’s story is still applicable for women today, particularly considering our contemporary, political moment? Your first book, Faery Tale: One Woman’s Search for Enchantment in a Modern World, is a memoir about your travels—both physically and spiritually—through some of the lands described in The Lost Queen. To what extent do you find resonances between the projects? How was the experience of writing a memoir different from that of writing a novel? In both, when I was “on the ground” conducting my research, I followed where I was led. Writing and researching Faery Tale taught me a new way to live—that synchronicity in life could be real, and that it is possible to find a sort of everyday enchantment—it manifests in both subtle and astonishing ways. There is much to be said for locating, then listening to your gut instincts. I had many goose-bumps-inducing moments in Scotland while visiting ancient battle sites and fortresses, and always the feeling that I had come home—that my “characters,” for lack of a better term, had been waiting. When it came to the nuts and bolts, there was a lot of hard work. I had to teach myself how to write fiction, which is an incredibly different beast. From my editorial experience I also knew this could prove an impossible thing to do. I was fortunate to have some incredible mentors, and that made a world of difference. The Lost Queen recalls many influential Arthurian and medieval myths and legends. What books were influential to you growing up or during your writing process that helped you capture the atmosphere of this world that has become so pervasive and yet elusive in the popular imagination? I grew up on Tolkien, C. S. Lewis, Madeleine L’Engle. I’ve always been fascinated by old things and old places. As a girl I can remember the distinct and lamentable feeling that I’d simply been born in the wrong time. When I was fourteen or so, I read The Mists of Avalon by Marion Zimmer Bradley. There was something so much more authentic in that book than anything I’d come across in relation to the Arthurian legend. I’d never been particularly taken by it before then, in fact, aside from being fond of Disney’s The Sword in the Stone as a child. Though Bradley’s book tells a very different version of the tale and is more fantasy driven, it brought that world into sharp focus for me. During your research was there a part of Languoreth’s story that puzzled you or never made it into the final draft of the novel? How difficult was it to decide which parts of her complex and eventful life to highlight? Languoreth’s relationship with Rhydderch is complex. I believe she married him around (or even before) age fifteen, and they remained married until his death. I’m interested to see how their relationship may evolve and change over the course of these three books. When it comes to what to include, the events that needed to be retold stood out clearly. They were large, emotional. Considering the lengthy research process, the presence of previous scholarly and fictional work on this topic, and complexity of writing a three-part epic, what did you find to be the greatest challenge in creating this novel? Which part felt the most rewarding? The greatest challenge was creating the pieces of narrative that take place between the actual historical events. What story arc leads from one event to another? How would Languoreth speak? How would she think? How would she feel? These are things no one has recorded. It brings into the forefront larger questions about humanity and daily life. It was essential to craft scenes in the most authentic way possible. But given how little writing and remembrance we have of her, I had to rely on fiction writing and instinct to try and accomplish this. I also had to tune out or ignore much of what deviates from my own belief of how the story went. There were certain shows or books that just didn’t jive with me. They gave me a visceral feeling so I honored that. I kept my head bent to my own work. What did you interpret your responsibility to be to Languoreth and her family in writing the story of her life? Relatedly, what do you believe Languoreth would think about the way you depicted her in the novel? Oh goodness. The responsibility! Serving Languoreth and her family some justice is the most elemental drive of my writing. When I’m in my writing shed, I’m sitting with them, and it comes only to that. I come back to it again and again, asking for things to become clearer. So much of their real, human existences are shrouded in mist. I will never know if I’ve accomplished what I set out to. Only Languoreth can be the judge of that. But it helps to know that I am not the first writer to write about Merlin and Arthur and the times that they lived in—even if I am the first to envision the life of Languoreth—and I know I won’t be the last. Writers and scholars have been seeking them and writing about them for hundreds of years, and I hope they will continue to do so for many hundreds of years to come. Signe Pike is the author of the travel memoir Faery Tale and has researched and written about Celtic history and folklore for more than a decade. 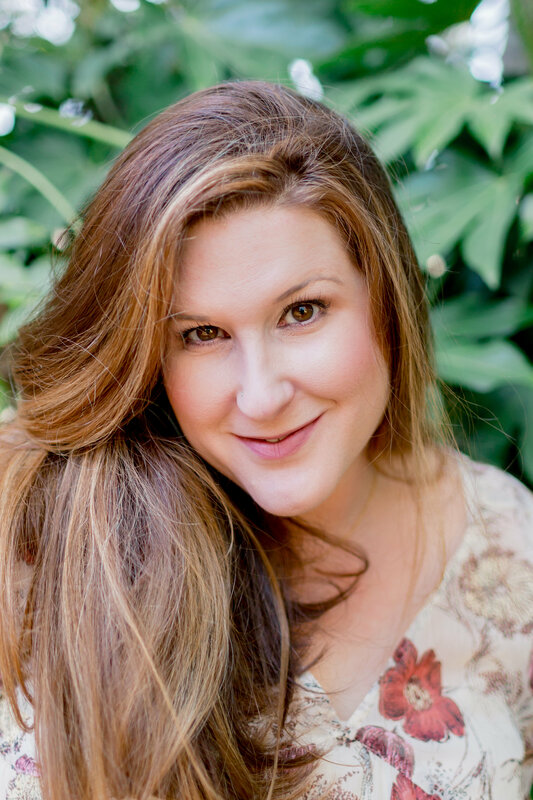 A former book editor, she lives in Charleston, South Carolina where she writes full time. Visit her at SignePike.com. "Outlander meets Camelot – but with the focus firmly on the lives and loves of women. A sweeping, magical tale of a rarely-told part of Scotland's history." "The Mists of Avalon for a new generation. Pike vividly recreates both the magic and brutality of early medieval Britain, replete with betrayals and love affairs, battles and escapes, and an unforgettable heroine at the center of it all. A gripping historical novel." "Rich in detail and elegantly written, The Lost Queen is a boldly feminine heroic journey to a place and time of unbearable change. Hypnotic and sensual, Pike’s story reawakens us to something long ago lost between landscape and memory, where the Old Way still exists, and the bond between brother and sister cannot be broken. Mystical, beautiful, and destined to become a classic." "In her extraordinary debut, Signe Pike assuredly transports the reader to an ancient past, bringing it vividly to life through her beautiful writing. Languoreth is a bold and complex heroine readers will be rooting for until the last page. Mystical, epic and captivating, I couldn't put it down, and look forward to the next installment of this intriguing trilogy." "Did you know that King Arthur’s favorite wizard, Merlin – or more accurately, the real man he was based on – had an equally important twin sister? Get hooked on her story in Signe Pike’s The Lost Queen, the first book in what promises to be a thrilling trilogy." "The first line in...author Signe Pike's first work of fiction, The Lost Queen, launches readers into a world they didn't know existed and one, most likely, they didn't know they needed. By the pool, in my bed, and most often, crunched in the front seat of my car, I consumed Pike's novel over a week this summer....Pike nails it....The Lost Queen rocks.